Although it comes as a surprise to many, hospital operating rooms are a major source of greenhouse gas emissions. The anesthetics inhaled by patients in surgery rooms around the world contain volatile halogenated ethers that are both an urban clean air issue and a serious contributor to global warming. The fact is, inhaled anesthetics are volatile liquids. They are vaporized with oxygen and medical air and/or nitrous oxide before being delivered in diluted mixtures to the patient. 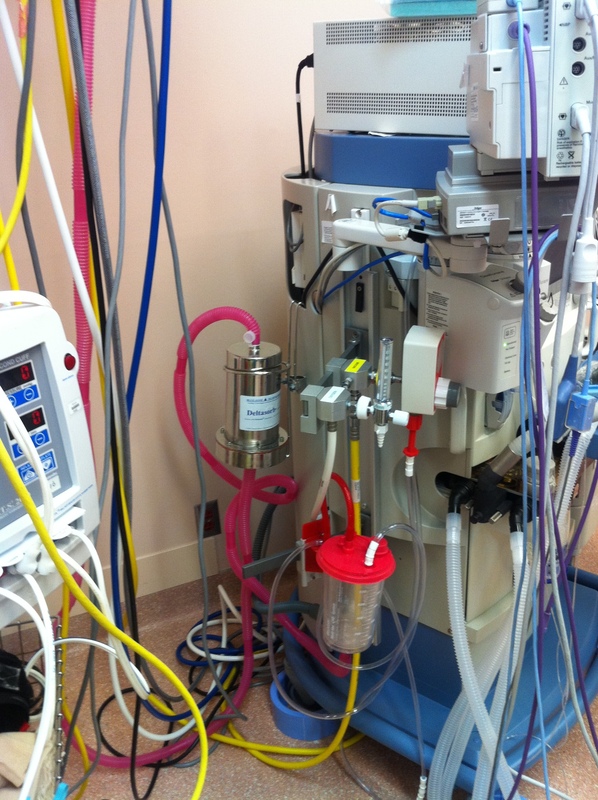 This mixture of medical gases and anesthetics is administered to patients in order to induce and maintain anesthesia unconsciousness during surgery. Ultimately, less than five percent of the delivered inhalation anesthetic is actually metabolized by the patient. The balance (over 95 percent) of the anesthetic gas mixture is routed through the operating room’s scavenging system and into the atmosphere, to the detriment of the environment and the general public. The three volatile anesthetics commonly used worldwide are Isofl urane, Sevoflurane and Desflurane. Each has a significant global warming impact. For example, the global warming impact for Desflurane is 3,700 times stronger than that for carbon dioxide (CO2). They are also toxic – potentially lethal when inhaled in excessive concentrations. An Ontario-based company has discovered a solution and is working together with Ontario anesthesiologists to implement the system. Blue-Zone Technologies can potentially capture all vented volatile anesthetics before they are emitted into the atmosphere. The company has developed a patented system called “Deltasorb®,” which selectively captures the unused anesthetic prior to having it exhausted to the environment. The Deltasorb® unit houses a specially developed material “Deltazite®,” which is a complex matrix that acts like a lobster trap for the volatile gases and, provided its standard use in the operating room, may altogether eliminate this class of greenhouse gas pollution. The units are changed out twice weekly and the gases are recovered through a sophisticated desorption unit at Blue-Zone’s facility in Concord, Ontario. The average hospital can immediately reduce hundreds of tons of greenhouse gases per year – the equivalent of hundreds of cars. 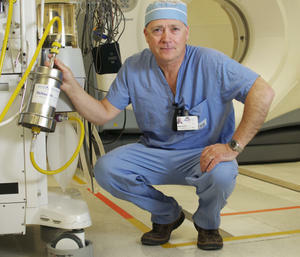 The system is currently installed in 150 operating rooms in 15 university and regional hospitals across Ontario. It is now available to all hospitals for a monthly service fee. According to Dr. Stephen Brown, chair of the Ontario Medical Association Section of Anesthesiologists and chief of anesthesia at North York General, “We are in the midst of a ‘green revolution’ and we want to do our part in the operating room. When we realized the problem was as big as it is, we decided it was time to act. We had read about car companies, energy producers and even supermarkets trying to out-green each other. I don’t see this as green smoke. The company has received many awards, including the Canadian Innovation Award for Environmental Technologies (2005) and the performance claim Environmental Technology Verification (2006). In addition, Sustainable Development Technologies Canada (SDTC), a federal funding agency for clean technologies, has been supporting this greenhouse gas emission reduction initiative by granting Blue-Zone Technologies a financial contribution of nearly $3 million over the past three years.